Nuby Garden Fresh Mash and Feed Container with Lid | Green | Create fresh and healthy baby food at home. 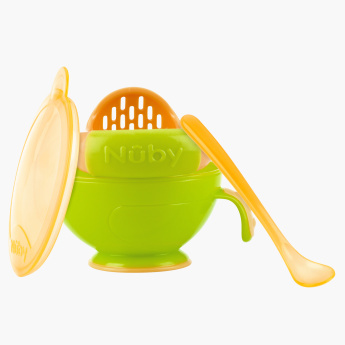 Prepare and store your baby’s food in the same container without any hassle with this specially-designed product. This BPA-free versatile container is accompanied by a lid which keeps the food safe and intact inside. Compact in size, this container makes an amazing travel companion too.